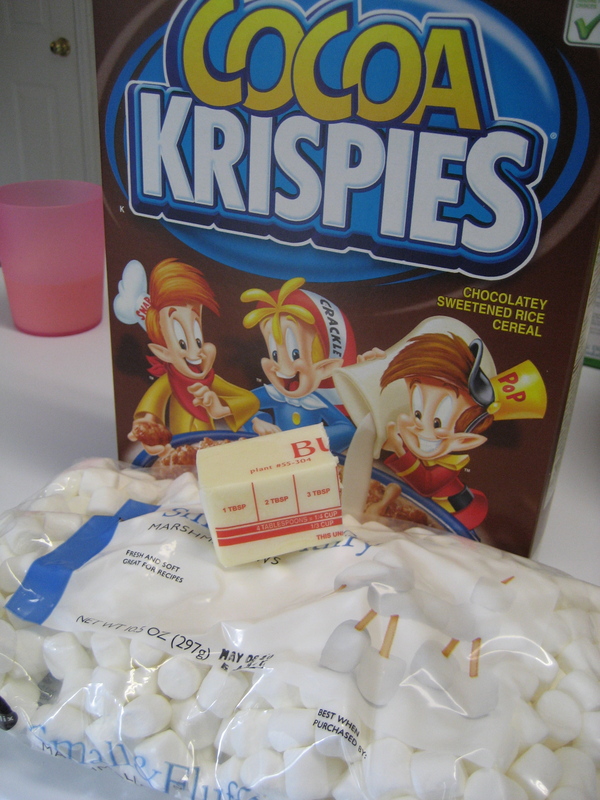 We’ve all made Rice Krispies Treats. They’re easy. They’re delicious. They can be made into snowmen. Well, they can! 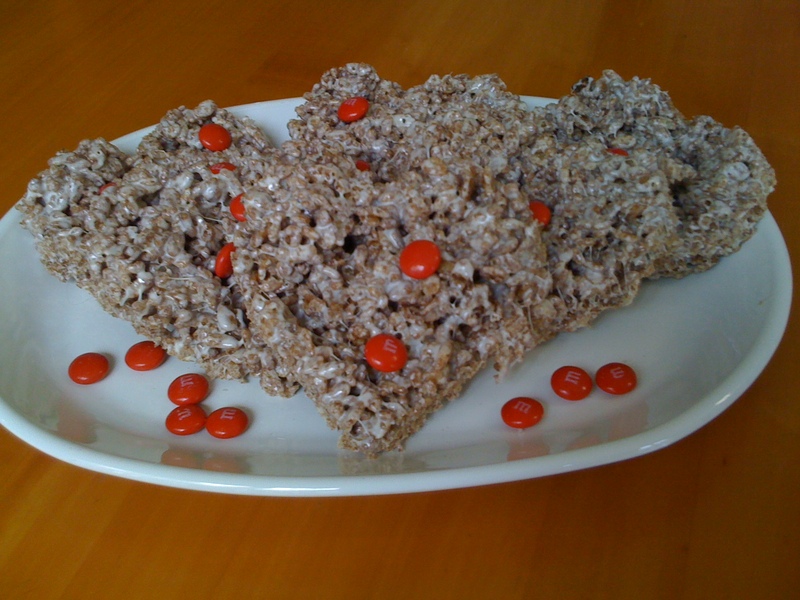 However, have you made Cocoa Krispies Treats? I mentioned them when I talked about my great Christmas Bake of ’09, but I wanted to spend a little more time on them. Why? Because they have become a HUGE FAVORITE at the House of Hills. HUGE! I added one more tbsp butter in process. These Cocoa Krispies are SO SO SO SO YUMMY! Like seriously! We had them for the first time at a Christmas party and couldn’t stop eating them. They are amazingly addictive. Everyone who has ever had one, can’t stop at one. Have I convinced you yet that you need to try them? You could even show your love with them. My favorite are made with the fruity kind! Ohhhhh! I’ve never done it the fruity kind. Gonna have to try that next!! I’m the WORST rice krispie baker ever…. I just made them with pink marshmallows for vday and they are so so dry…. do the extra butter and marshmallows help with that?? Oh YES!!! I’ve always used extra butter and marshmallows. My Sweetie likes them gooey, and so do I. Definitely try adding more butter for sure.